A U.S. prosecutor says a Montreal man accused of stabbing a police officer at a Michigan airport was willing to die if he could have seized the victim's gun and attacked others. Jurors heard opening statements Wednesday in the trial of Amor Ftouhi, a Tunisian who was living in Montreal. He's charged with three crimes at the Flint airport in 2017, including an act of terrorism. Federal prosecutor Jules DePorre said Ftouhi saw himself as a martyr who wanted to "kill Americans until he himself was killed." Ftouhi's lawyer didn't make an opening statement. Ftouhi says he is innocent. The trial opened Tuesday with jury selection. The weapon allegedly used in the attack will apparently be shown to jury members. The federal prosecutor received authorization from a judge to bring two weapons into the courtroom, a hunting knife and a machete. 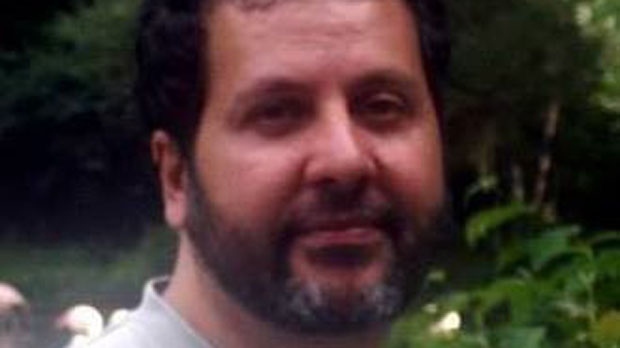 The government says Ftouhi legally entered the U.S. at Champlain, N.Y. in June 2017 and attacked Lt. Jeff Neville five days later at the Flint airport, about 80 kilometres northwest of Detroit. Neville survived. Witnesses at the airport reported that the suspect yelled "Allahu Akbar," the Arabic phrase for "God is great." The attacker also made reference to people killed in Syria, in Iraq and in Afghanistan, according to information reported by the FBI. Ftouhi, 50, has been detained since his arrest June 21, 2017. Married and the father of three children, he had been living in Canada for 10 years and worked occasionally as a truck driver. He holds Canadian and Tunisian citizenship.